The client commenced a 12 month RealGROWTH® program which included RealGROWTH® solution and tablets. 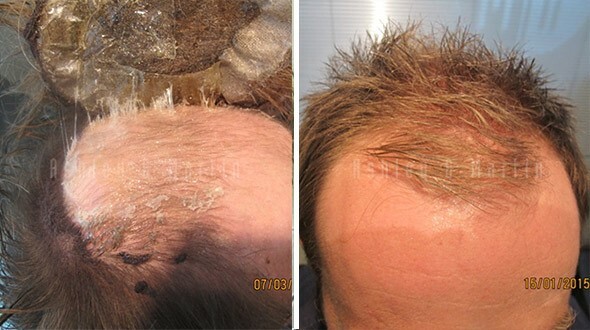 As the client was not located near a clinic, he also purchased a Laser Cap device and applies this every second day. At the end of his first program, he could not believe the difference, and is stoked that he can grow his own hair and it looks so good. Sure he knows that he won’t get a full head of hair back, but he would rather grow his own hair and is really pleased with the way it looks.